Easter is just around the corner, so why not treat yourself or a friend to a beautiful Cat themed goodie sponsorship pack. 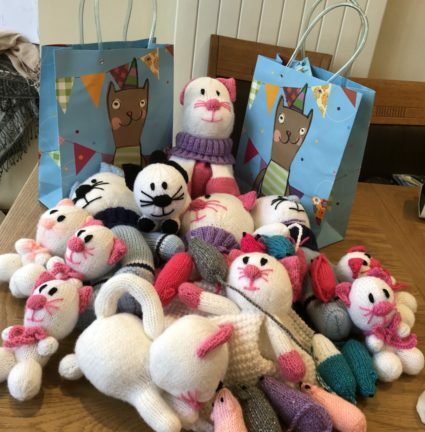 By making a purchase you will be helping Cats Aid with some much needed funds to enable us continue the vital work of rescuing, rehabilitating and rehoming sick and needy cats and kittens. 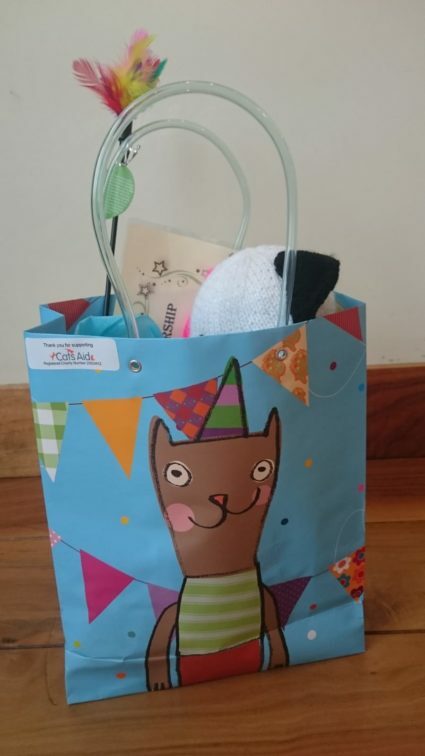 Each pack contains – a beautiful hand knitted cat and mouse, a personalised certificate of sponsorship, 2 hand crafted cat themed gift cards, a feather wand, a keyring, kitten toys and some treat samples of cat nip and cat litter. If you would like to purchase one of these lovely packs, you will need to be quick as there will only be a max of 15 available. Cost is forty euros per pack and orders are only accepted for hand delivery in the greater Dublin area.